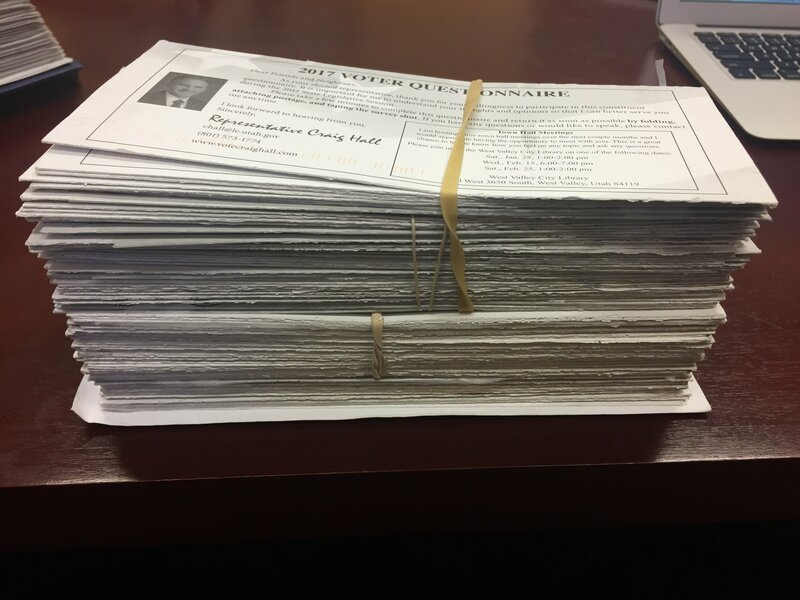 Home > News > 2018 Legislature - Week 2 Summary! Nurse Wubbels was the nurse involved in the police officer confrontation at the University of Utah Hospital this last summer. Wednesday she testified in support of my bill that requires law enforcement to seek a warrant if they want a blood draw. Thanks so much for her testimony and support of the bill! This bill will go a long way towards making sure this never happens again. Passed the Senate Committee unanimously. - Nurse Wubbels made me give her the high 5 🙂. 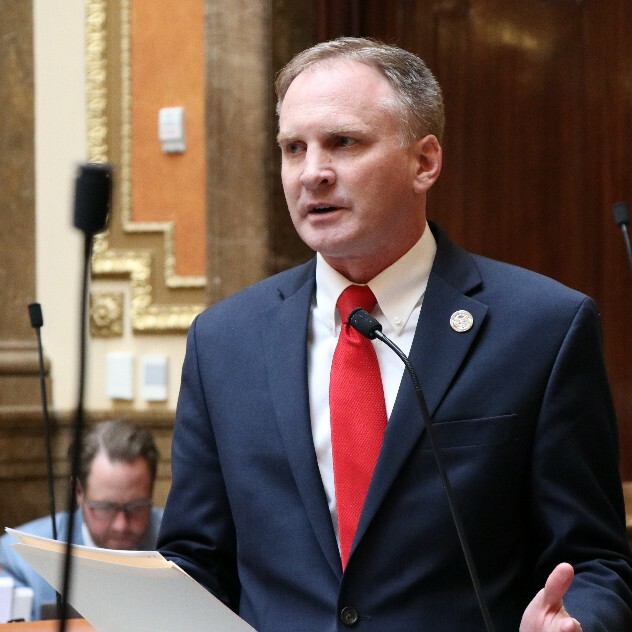 The University of Utah recently underwent a nation-wide search for a new University President. 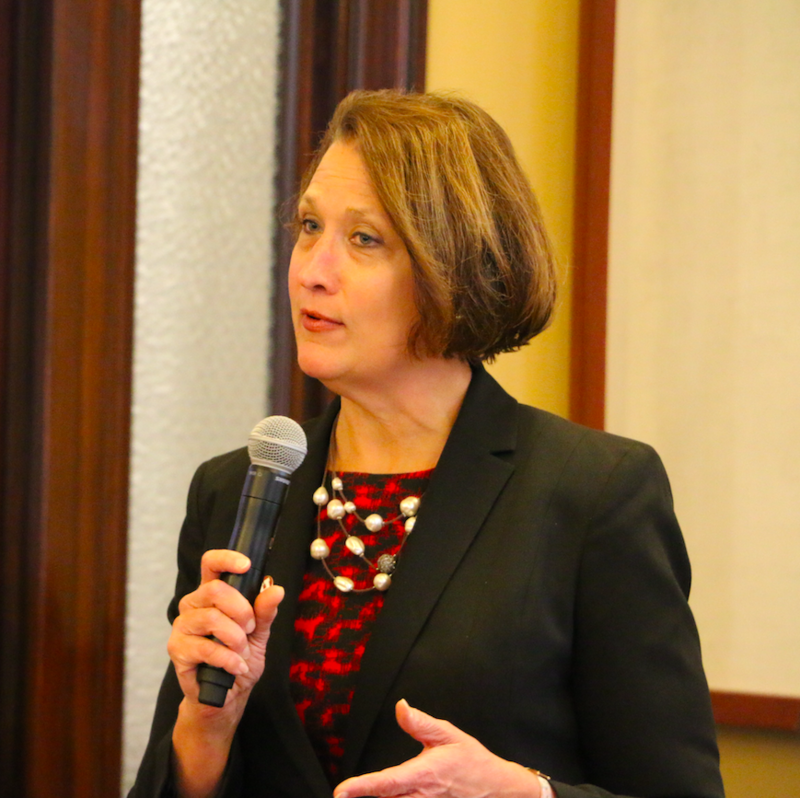 After a months-long search, in a unanimous vote of the Utah Board of Regents, Ruth Watkins was selected to be the next -- and first woman -- president of the University of Utah. 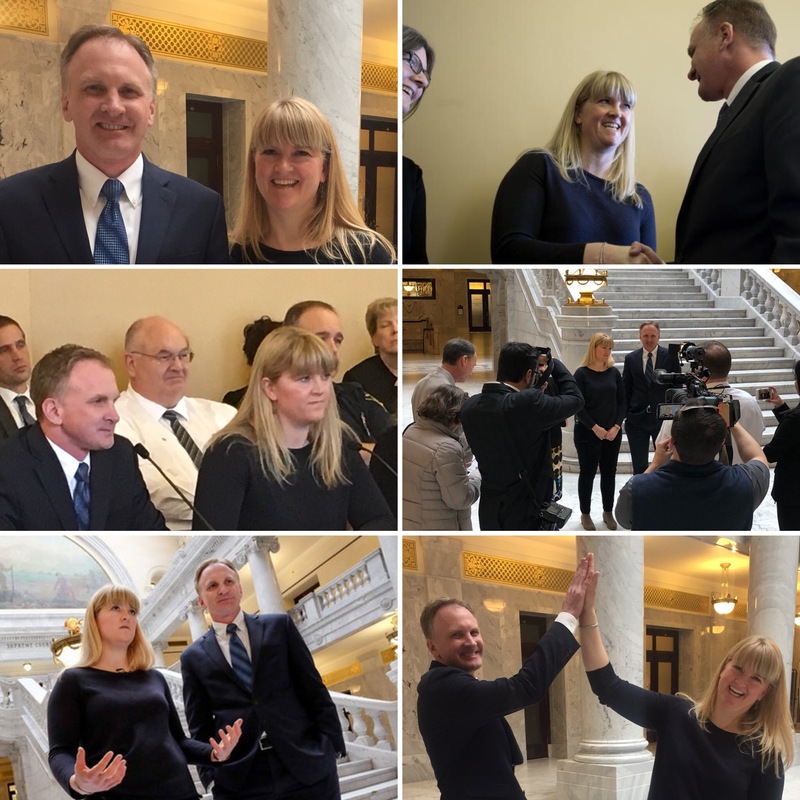 This week she visited the legislature to share her vision. Thanks for visiting and best of luck to her in her new position! HB43 - Blood Testing Amendments - I am the chief sponsor of this bill. Passed the floor of the House 72-0. Passed the Senate Judiciary Cmte 4-0. 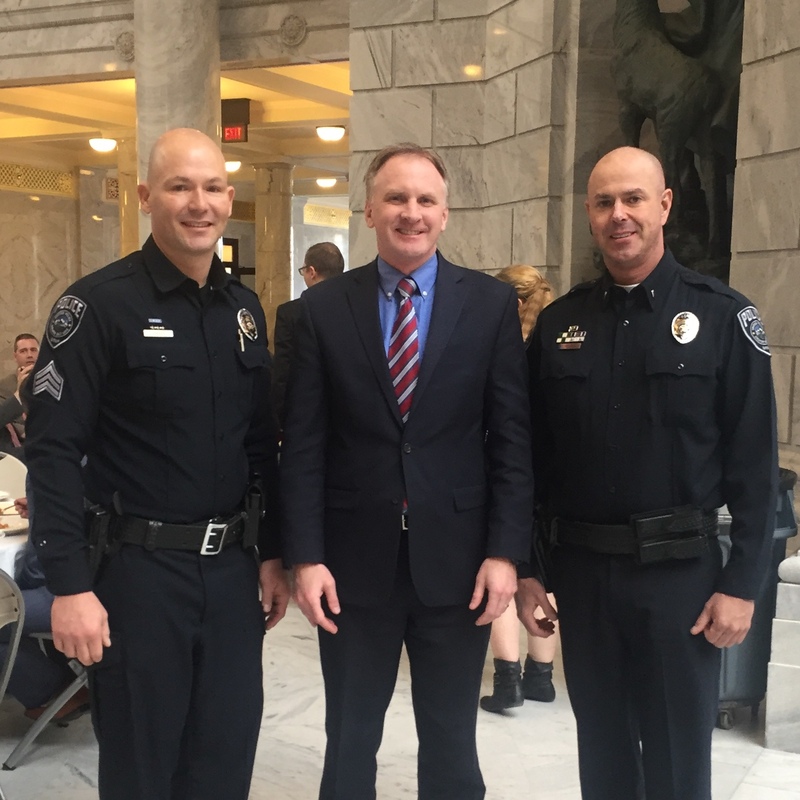 HB92 - Utah Vital Statistics Act Amendment - I am the chief sponsor of this bill. Passed the House Health and Human Services Committee 13-0. Passed the floor of the House 74-0 and the Senate Health and Human Services Committee 7-0. Should be considered by the full Senate this week. HB147 - Retirement Forfeiture for Employment Related Offenses - I am the chief sponsor of this bill. Passed the House Retirement and Independent Entities Committee 6-0. Tuesday, February 6, 2018, 7:00 - 8:00 p.m.